"I hope that your efforts to develop relations between the countries you represent and Russia will help to activate political dialogue, strengthen trade and economic ties, and expand humanitarian contacts," he told the gathering. With Burundi, Putin pointed out that Russia's relations with the Republic of Burundi have always been friendly and would be discussing several cooperative projects in the oil and gas sector and in mining. 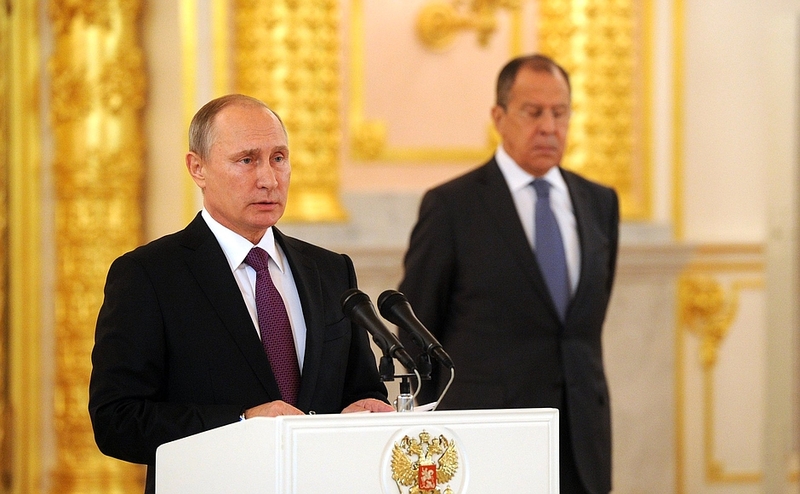 Russia also wished for an early restoration of internal political stability and national accord in Burundi. Russia seeks to develop ties with the Federal Republic of Somalia, noting significantly the government's efforts to achieve national reconciliation and harmony and to rebuild the economy and social sector. "We support political dialogue with the Republic of Chad, all the more so as your country currently holds the African Union presidency. We look forward to President Idriss Deby's visit to Russia and are preparing for this occasion concrete agreements in trade, the economy and humanitarian areas," the Russian leader told the Ambassador of the Republic of Chad, Mbatna Bandjang, at the ceremony. 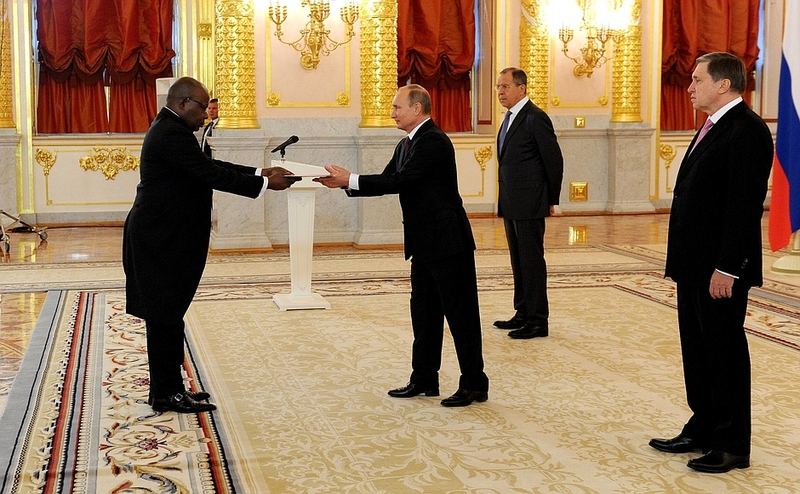 Russia and Equitorial Guinea have had excellent relationship. "In developing our friendly relations with the Republic of Equatorial Guinea, we place great importance on cooperation on geological exploration, extraction and processing of hydrocarbons, including development of offshore fields," Putin said assertively. Obviously, Kremlin's long term goals include developing all-sided cooperation with African countries but those goals have struck pitfalls. 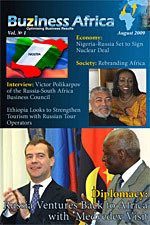 Policy experts have suggested that Kremlin has to substantiate its African policy agenda with consistency, activeness and support, and enhance participation in the economic development of Africa. 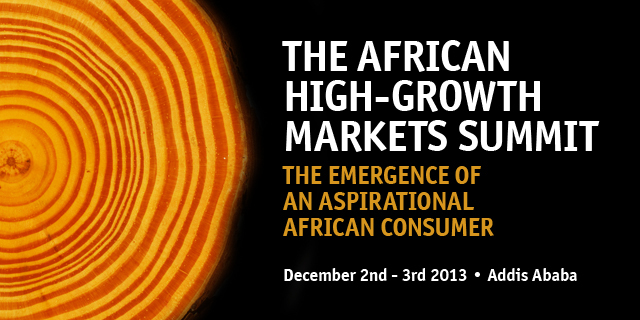 At the same time, Russia needs to look at simplifying access to its market for African countries. Quite recently, Putin said at the VTB Capital's Russia Calling Forum, that many countries had been "stepping up their activities on the African continent." At the same time, Putin said that Russia "could not and would not" cooperate with Africa "as it was in the Soviet period, for political reasons." As already well-known, towards the Africa's development, China has offered $60 billion, Japan $32 billion, India $25 billion so also investment funds have come from the United States and European Union.